Andaman & Nicobar, the small verdant tropical islands lie in a long and narrow broken chain sprawling like an arc in the north-south of Indian Ocean. Once notorious for 'Kalapani', a dreaded imprisonment in the Islands under the British rule, the Islands now attract overland travelers because of dense rain forests, seducing sea side beaches, unpolluted water and plenty of water sports activities. Andaman & Nicobar Islands are a part of Indian Union Territory but geographically closer to Southeast Asia. 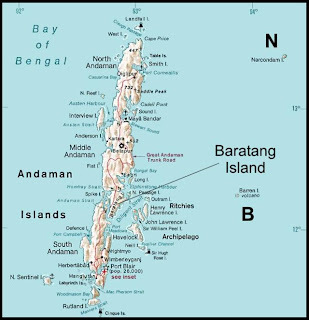 The territory consists of two islands, the Andaman Islands and the Nicobar Islands, separated by the 10° N parallel, with the Andaman to the north of the latitude and the Nicobars to the south. The capital Port Blair has the population is about 356,152 (2001 census) and the total land area of the territory is approximately 6,496 km² or 2,508 sq mi. Andaman & Nicobar Islands are consisted of 572 tropical islands where most of them are untouched and having rare flora and fauna. The Islands are vulnerable to earthquake and devastated during the 2004 tsunami, which, in turn, lost uncountable lives and homes. 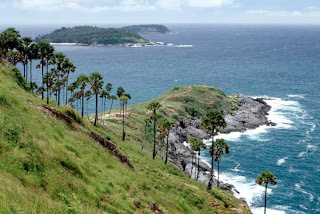 Before the British Rule, the Islands were inhabited by indigenous people but today the Islands are home to the number of settlers and they live in and around Port Blair. There are 36 islands inhabited by different known and unknown tribes with their entirely own culture and rule. 86% area of the territory are covered with protected forests and 50% of them are protected as Tribal Reserves, National Parks and Wildlife Sanctuaries, consists of luxuriant mangroves and various animal species. The famous Mahatma Gandhi Marine National Park is a home to number of rare corals, colored fishes, sea turtles etc. Apart from this the Islands is a bird watchers paradise and inhabited by about 271 varieties of birds. Megapode, Swiftlet, Hornbill and Nicobar Pigeon are some of the common birds found in the Islands. The earliest archaeological evidence says Andaman & Nicobar Islands have been inhabited some 2,200 years back by various tribes of distinct linguistic, cultural and territorial groups. 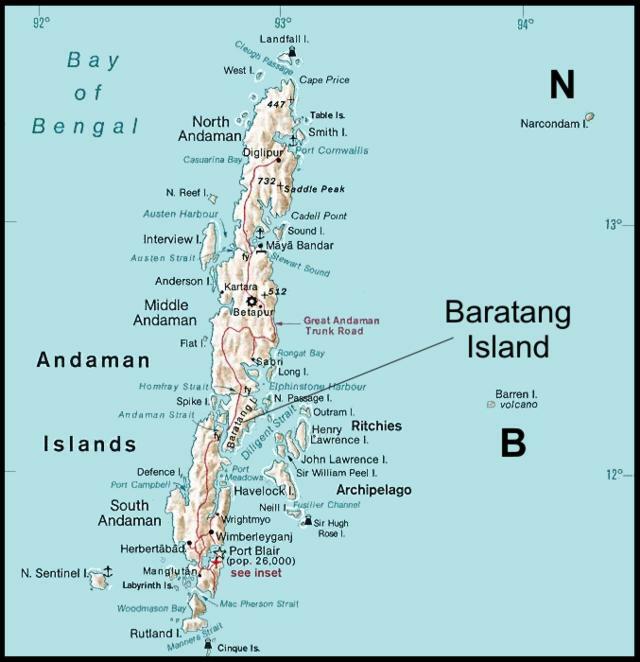 Before the British colonial rule, Andaman was inhabited by indigenous people such as the Great Andamanese, the Jarawa, the Jangil, the Onge and the Sentinelese (the most isolated of all the groups). In the year 1858 British established a colony in the Islands and set a penal colony for dissenters and independence fighters, famous as a 'Kalapani' or Black Water. An isoloated prison was made on the islands for the freedom fighters and the mode of imprisonment was called kalapani.The Cellular Jail in Port Blair was considered as "Siberia" British India. After Japanese invasion during World War II, the hold from the Islands went to Japan from British. After the independence of both India (1947) and Burma (1948), the departing British decided to resettle all Anglo-Indians and Anglo-Burmese on the islands to form their own nation, although this never materialized. It became an Indian union territory (UT) in 1950. The climate of the Islands is hot and humid and typically of coastal weather. The islands receive rainfalls from south west and north east monsoons and maximum precipitation is between May & December. The major languages spoken in the Andamans in numerical order are Bengali (25.95%), Hindi (18.4%), Urdu (14.2%), Tamil including Sri Lankan Tamils (17.84%), Nicobarese and Telugu (12.93%). Other languages include Malayalam and English. The major religion is Hinduism, with significant Muslim,Christian and Sikh minorities. Tourism Festivals - Islands tourism festival is celebrated with much fanfare every year from December to January. Cultural t roupes and artistes from different parts of India and overseas to perform. The main attraction of the festival is the water sport also known as Hodi race is organized. Dress - Aboriginal tribes of Andaman & Nicobar have their distinct dress pattern. The Sentinelese tribes go naked even now. The Jarwa uses only decorative items such shells and barks of trees to adorn their neck and hands. The Ongos have recently adapted clothing and sports distinct decorative clothing. Interesting place, very vibrant, good place for a far away vacation and getting to know other cultures and customs.Actually never heard of the place before, will surely visit there some day.